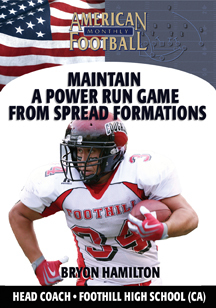 How did Foothill High School go from 1,800 rushing yards in a season to 4,000? 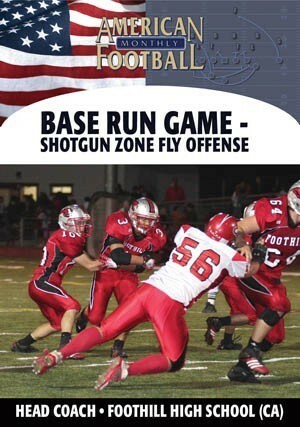 Several years ago, Bryon Hamilton left the college coaching ranks to become the head coach at Foothill High School which, at the time, could easily be categorized as an �average� high school football program. 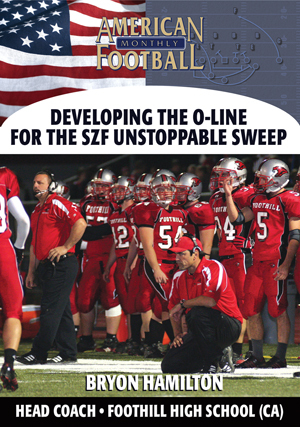 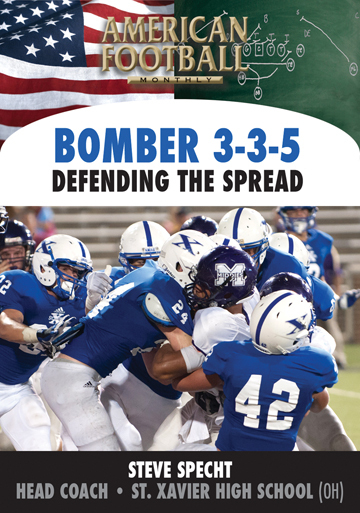 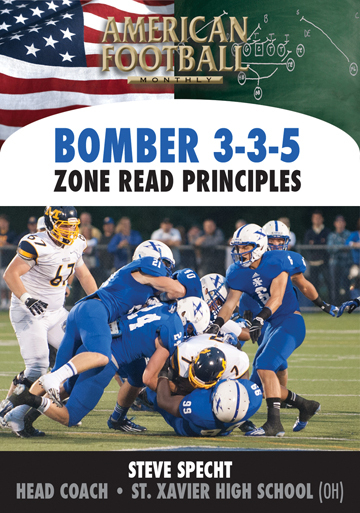 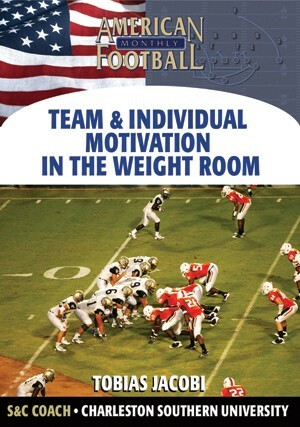 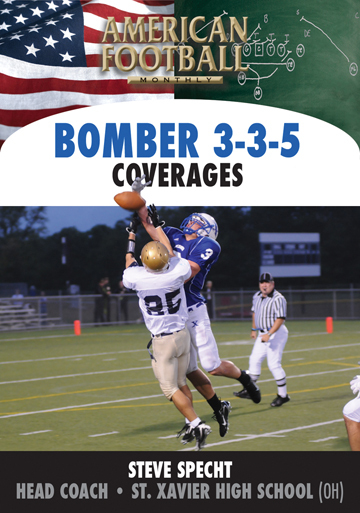 The previous coach at Foothill ran the double wing � an offense that focused on running the ball between the tackles. 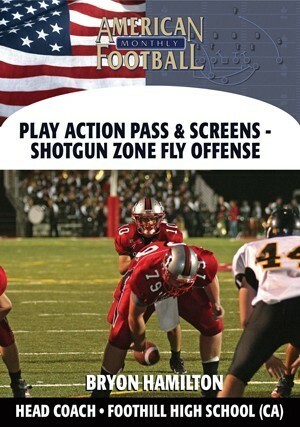 After struggling in his first year at Foothill, Coach Hamilton knew that he had to make radical changes to his offense. 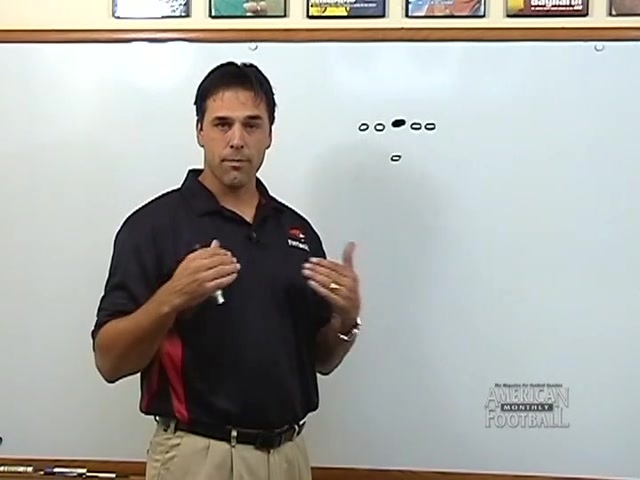 What did he do? 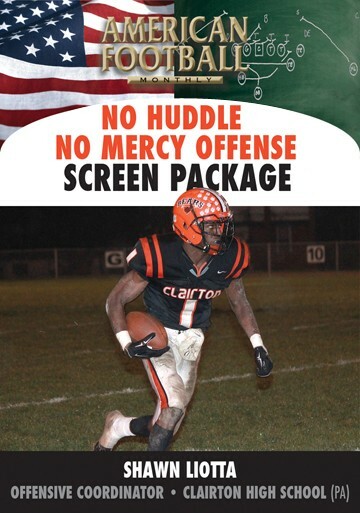 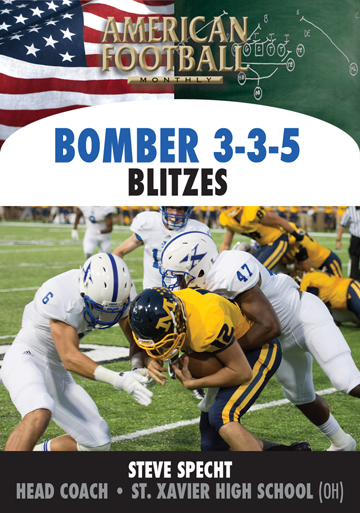 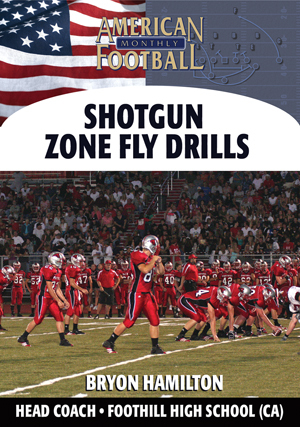 He developed an offense that featured the run out of the shotgun � the Shotgun Zone Fly � sky-rocketing his offense to one of the top rushing high school programs in the country at well over 4,000 yards per year. 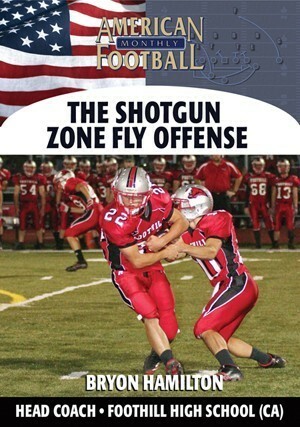 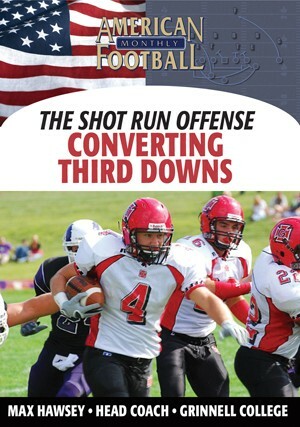 �	Outline in great detail the overall concept of the Shotgun Zone Fly Offense. 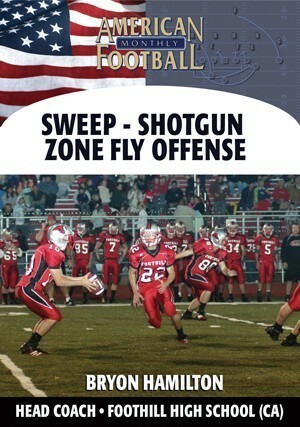 �	Identify the advantages his new offense gives you when facing defenses. 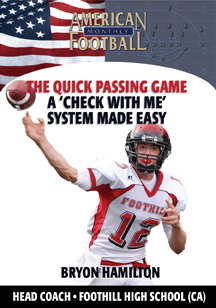 �	Explain all of the personnel and alignment packages. 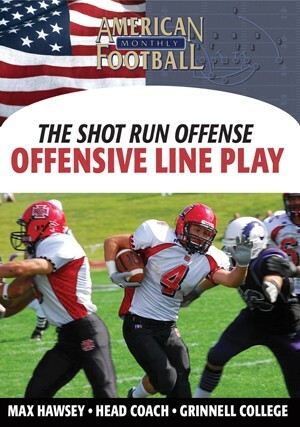 �	Diagram the formations that give you a distinct advantage over the defense. 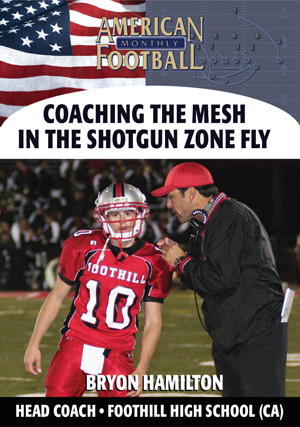 �	Explain the roles and responsibilities of all four players involved in the mesh or exchange of the ball and show video of how it works. 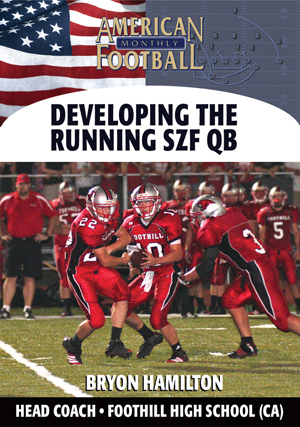 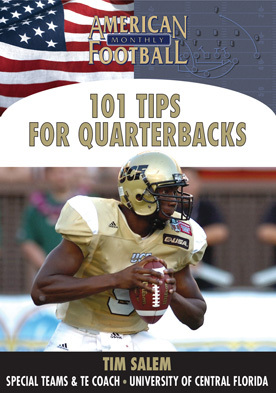 �	This video also contains video images of formations and game film analysis. 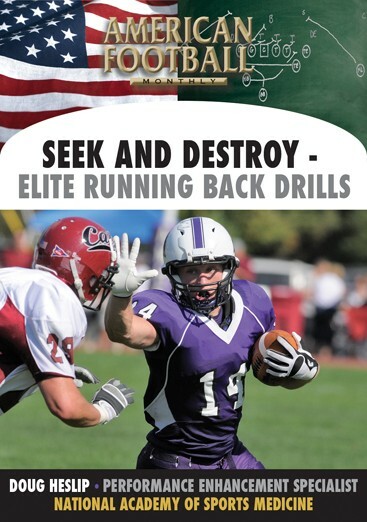 All coaches are in search of the same thing � a way to effectively run the ball that is simple to teach to our players. 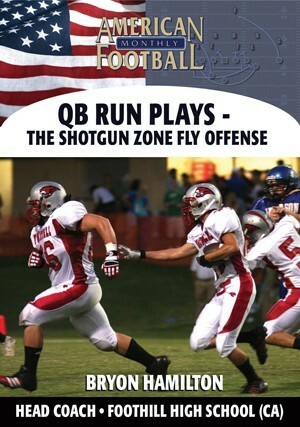 Because the Shotgun Zone Fly Offense is adaptable to many offenses it will benefit your rushing game tremendously. 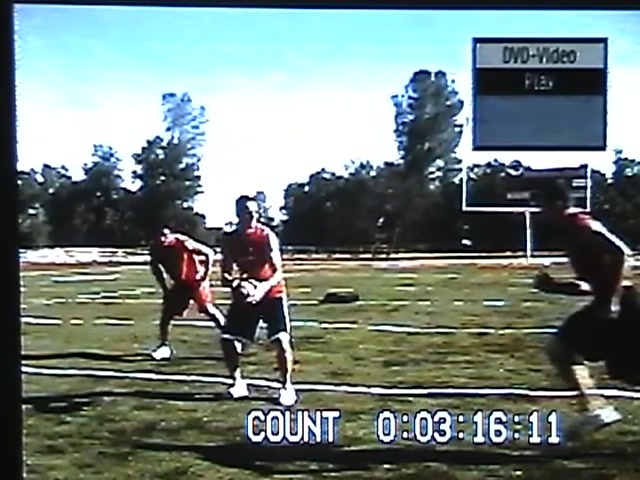 This video contains game film.